Mandy has now worked with and been part of the Tryon Gallery for over 30 years when she sold her first painting of a Muscovy Duck in Dover Street in 1977. This modest sketch was bought by John Skeaping which was the ultimate beginning for any artist! 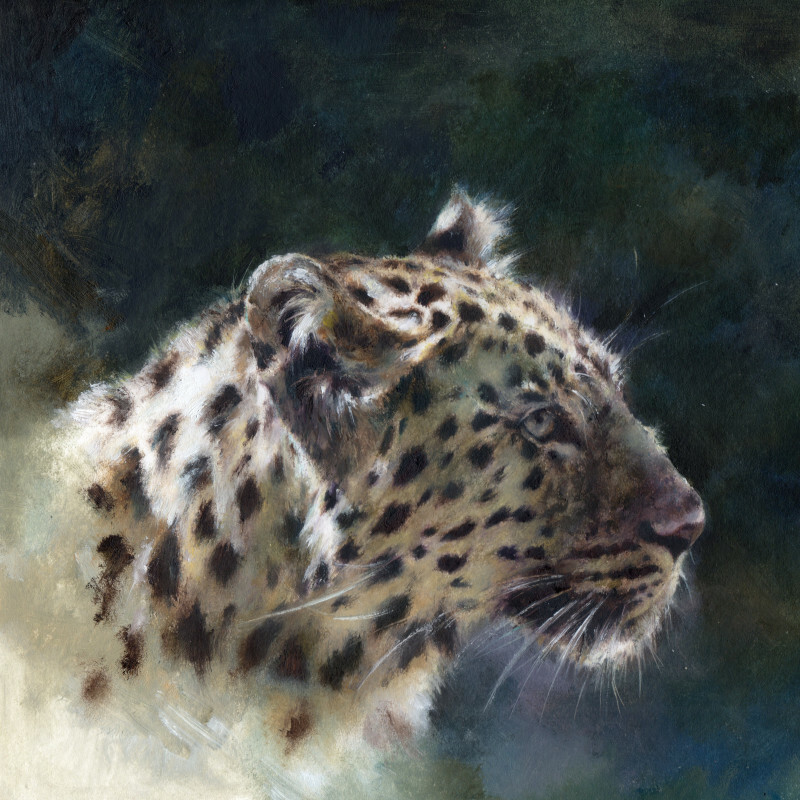 Mandy has enjoyed a successful career as a wildlife and military artist, owing her sense of ambition, opportunity and zest for life to her late father. The driving force for her work has been a life-long love of wildlife and wildlife conservation. This led directly to working with the military through her introduction to the Falkland Islands and subsequent publication The Falkland Islands - an artists portfolio. Her military work has taken her far afield and so much of this work has remained unseen and out of the public domain. This exhibition will include various images inspired by places she has visited over the past 20 years or so working with all three services and those abroad. Mandy's portfolio is very varied and through the years she has always tried to attain an analytical grasp of the subject and what she sees infront of her, detail being the primary focus. She was taught life drawing day-in, day-out at the Byamshaw School, London throughout her training and encourged, if not criticized, by her father who believed that pointing out the bad bits was the important element of making progress! The discipline of a days work is the foundation of success, no matter the result and waiting for the right mood has never been an option. To control the process of painting is undoubtedly a skill and each new commission or exhibition provides the vehicle for reaching that goal and definitely a new level. Mandy works in water-based mediums but mostly in Artisan oil paint on any surface compatible and receptive to this medium. It makes for a career that is both exciting and challenging, a career that she knows she is lucky to enjoy and make a successful living from. It also helps and supports the great charities and causes she is closely associated with. She is very pleased to be exhibiting with Rountree Tryon in London and Petworth this December.